Please click the button for a map of Community Transport services in your area. A door to door wheelchair accessible minibus service for people who are unable to use, or don’t have any, regular bus services. A service provided by volunteer drivers using their own cars to assist people in rural areas, or those with time critical appointments. A minibus and driver can be provided for qualifying groups and organisations who do not have their own accessible minibus. Allows individuals and friends to go to various events and destinations like local markets, beautiful parks and gardens, the countryside or the seaside. 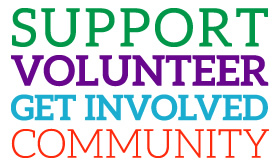 We rely on volunteers to help us run our charitable services. We look for minibus drivers, drivers with their own cars, and others who want to help. We provide a nationally recognised mini bus driving training scheme (MiDAS) which gives volunteer drivers a qualification.